PickDropGo offer a very competitive flatpack furniture assembly service. All our flatpack assembly is carried out by our team of professional flatpack installers. 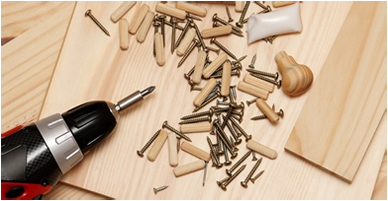 Our assembly services are widely used by most flatpack furniture retailers in the UK. We aim to save you the frustration and time in having to build your flatpack furniture by making our services available seven days a week at a time that best suites you. Along with assembly we can also provide a shopping delivery service should you not have the transportation means to get your flat pack furniture to your premises. We can also dispose of any unwanted furniture items. All packaging will be cleaned up and removed, leaving your home tidy and your furniture ready to use. Price Match - We will match and offer a further 10% discount on prices given by any company on the bases they are an official company. We Cover - We cover all of London and Essex if you live out of these areas we work with a wide network of other professionals so please get in touch. We Assemble - We will put your flatpack together quickly and correctly, saving you the frustration, time and money. We Tidy-up - Once your items have been assembled and placed in your desired location, we will tidy up any mess caused and dispose of all the packaging materials. And More! - We can assist you with any other additional DIY jobs you may have around the house, contact us and we'll be happy to assist.